in futures where all lived like kings. and robots that never got tired. and planets and moons had acquired. where war and fear no more could hide. and treat most as if they’ve no worth. so they can thwart life’s guarantee. have become to some just a sport. the others must die out or crawl. But eyes watching unseen are waiting. The twelfth hour is almost at hand. falling now the last grains of sand. whose compliance cannot be bought. Based on primitive models of the Earth and trends which may or may not be relevant for the next few hundred years. 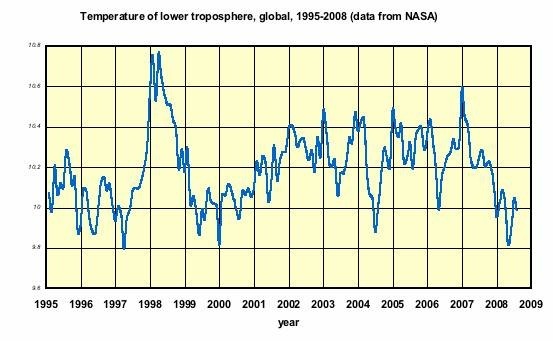 Contrary to common belief, there has been no or little global warming since 1995 and this is shown by two completely independent datasets. 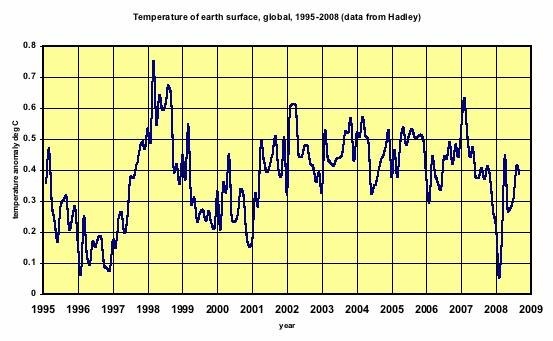 There is inconclusive evidence that CO2 increase contributes to it and the theory of how carbon dioxide influences the global mean temperature is complicated and unreliable. Based on the Einstein’s Theory of Relativity. Based on theories using primitive models. Not even a theory as yet. Acts at speeds vastly exceeding the speed of light as evidenced by solar system stability, which goes against the accepted scientific principle that this speed is a limit for energy transfer. Einstein’s Special Theory has never been tested in the conditions necessary for its validity i.e. uniform motion. Lots of misunderstandings here that have to do with relative measurement being applied to physical processes. It makes you think though doesn’t it? So many unpleasant things happening in the world which seem designed to spread fear and uncertainty amongst the masses. Now voices are telling us that millions could die from some disease, which, it seems, might have been manufactured. Well, it has happened before: diseases being accidentally released from some secret establishment. If I wasn’t so rationally minded :-), I could almost imagine an alien invasion being imminent (extraterrestrial I mean). Some say that “little green” creatures or “long spindly” ones have been around for some time, probably developing a strategy for a take over. Of course, they could be just inquisitive, but are we really that interesting? If you’ve got plenty of time to spare then dive into the somewhat murky pond of Google. Aliens travel in UFO’s (Unidentified Flying Objects for the few uninitiated). These are craft which leave our modern jet fighters standing. They can move and accelerate in any direction at lightning speed (and that’s fast :-)). They’re gone before Commander Jetlag can put his foot down. Yes, they seem to be very interested in our planet. Well, it is potentially a great place to bring up the kids, and there might not be so many around if the rest of the planets in our solar system are anything to go by. Seeing they way our politicians are functioning lately also makes one believe that they could be acting under the influence of some, as yet unknown, presence. A lot of them seem to have developed tics, which is a dead giveaway. The super-elite, who must take the blame for everything in the end it seems, are obviously “friends” of the aliens – forming a sort of mutual benefit society. Of course, they’ve got the most to lose, especially as they also control the great wads of cash that the aliens undoubtedly need to carry out their plans. They’ve almost certainly made arrangements to be spared, when the aliens start blasting what’s left after the dreaded diseases have done their work. Only those who’ve proved themselves to be useful will be allowed to take the antidotes and avoid the devastation, probably relocating themselves to some luxurious secret place under the ice in Antarctica, to wait for better days in more temperate latitudes. Of course, via the movie screen we’ve had “Mars Attacks”, “The War of the Worlds” and “Independence Day” giving us a taste of things to come, so we know what to expect in a worst case scenario. It might be wishful thinking, though, to assume that all aliens die before they can really take over. If one assumes that the above alien involvement is untrue, then we’ve really got problems. A recent discovery has surprised many scientists and quite a few intelligent laymen. Yes, the further away some galaxies appear to be the nearer they may really be. The popular idea is that space is expanding because distant objects appear to be moving ever faster away from us with increasing distance, according to the Hubble Law based on Doppler red-shift measurements of their electromagnetic spectra. The wavelength of light from an object is shifted towards the red end or the blue end of the spectrum according to whether it is moving away or towards an observer. The latter effect is termed blue-shift. The red-shifted galaxies we see in space are really snapshots taken at that moment in time when the light rays we are now receiving left them long ago. Where these galaxies are now is of course unknown but it appears, according to new research, that some may be speeding back towards us. As reported by a Dr. Grabbler of the French University of Strange Studies (FUSS) in a recent article (soon to be published in Galaxy Review), while studying photos of the Digital Sky Survey (DSS), he and his team have found a blue-shifted galaxy that appears to be the same as a red-shifted one. They have temporarily named it Odd1. It would seem that Odd1 has at some time moved in a curved path which eventually directed it back towards the Earth. The astonishing conclusion is that the same galaxy can appear to be in two places at once! After five years of observation they have further determined that the outer arms of Odd1 have increased in size at such a rate as to indicate that it is moving towards us at approximately sixty times the speed of light. Of course, as Einstein proved and nearly everyone accepts, nothing can travel faster than the speed of light (c), so another reason must be found for the galaxy’s apparent greater than light (superluminal) speed. A student of Grabbler, who wishes to remain anonymous for the time being, has suggested that photons themselves could speed up if their entangled twins send information that is impossible for the photon in question to understand. It can then acquire a quantum state which he calls “agitated”. According to the calculations of this student, who Grabbler says is a genius, in this state the photon’s mass becomes increasingly negative which would allow its speed of propagation to exceed c. If light leaving Odd1 is “agitated” enough then it could be travelling faster than c even though the galaxy itself is moving at a speed far less (subluminal) than c.
If these ideas are correct, they would produce mixed blessings for the accepted theories of relativity. Grabbler says that research is continuing and that they are extending their search for other “blue” galaxies in an effort to find more examples of this type of motion. The first and sixth stanzas wouldn’t adhere to the restful nature of the rest I’m afraid, and insisted on getting their point across rather intolerantly, though they did eventually agree amongst themselves to use the same form. Well they’re young and impetuous, so I forgave them as one does. Perhaps you’ll forgive them too. But not from yummy yummy. But one can two slight bulges discern. And the craters mark blows that these felt. And left with or without what it sought. In the roll of one born to create. Things really got this dreary. Well here we are on the final lap. I want today to give an account of a story I came across in an old book I bought some time ago. The bookshop has closed now but I became quite friendly with the owner when it was still open and often visited, sometimes buying something or often just browsing. He was pleasant in his manner but often gave one the feeling that his thoughts were somewhere else. He told me at a certain point that he had received instructions to move to another location. I said I was sorry to see him leave though he didn’t seem to have any reservations himself. ‘Time to leave,’ he’d said, though admitting that he would miss my company. He left me an address where he could be contacted if I so desired. It turned out to be a small publishing house in London that looked after his affairs but on inquiry knew nothing (or would not reveal anything) of his activities. The book’s title is “Tales of Distant Worlds”, by J.J. Rea, a volume that appears to be long out of print, although the bookseller did say that copies seemed to become available ‘ now and again’. I thought at first it was just a science fiction collection, but one story, the third, struck me as being something more than just fiction. It’s difficult to explain but perhaps you’ll understand when I’ve given you an indication of its contents without relating the whole story. “One day I was in this bookshop and whilst browsing the shelves a volume caught my eye. I know you’ll think I’m mad but I’m sure it moved as I looked, fractionally. Before I could recover from this unexpected occurrence and seemingly due to an automatic response I had it in my hands. It was a large dark brown book of some material similar to leather though it didn’t have quite the same feel or smell (I always smell books, it’s an old habit). Somehow I felt a strong urge to open it and examine its contents. I looked around the further empty shop and saw at the back a table with a few chairs. I walked over and sat down, placing my cane on the chair next to mine and laying the book on the table I opened it carefully. I felt the shop owner was watching me but when I glanced in his direction he just appeared to be busy with what I assumed was the normal everyday administration of any bookshop. I returned to the book. It was entitled “Wonders of Sirial” and there was a short introduction telling the reader of a visit to a strange world. It was signed H. Tobin, Regus I, which was a strange enough in itself I thought, but I was driven to read on. “In the galaxy there is a star, very much like Earth’s Sun, though far removed from it. Around it orbits a shining blue planet called Sirial. It could almost be a twin of Earth, though the continents are different. The people are divided into different races as on Earth but there the similarity largely ends. One could call it a sister planet. It was always an honour to meet a Higher One and I had the good fortune to do so on Tallus, where we were both attending some gathering. Irian was his name and though they have no gender I shall, for simplicity, refer to him as a male in what follows. No one knows much about them and there are only theories as to where they came from. Their wisdom and friendly natures have lead them to achieve high office on many worlds. Some suspect them of having strange powers and there seems to be some evidence for this. As we sat talking he suddenly turned the conversation to the above mentioned planet, which he said was quite an unusual place. 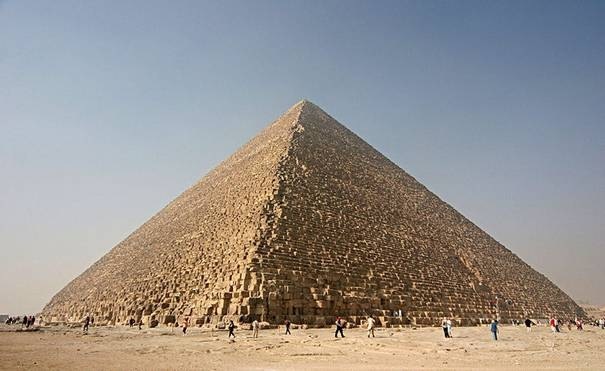 Apparently The Higher Ones had been visiting it for some time and had made records of their experiences with the people who lived there, something which they normally didn’t need to do but in this case it seemed they had good reason. To outsiders there is a strange almost hypnotic peacefulness on this planet he told me. He enthusiastically went on to give a brief description of the world and its inhabitants which was indeed most intriguing. At a certain point I asked where it was located, but he said that he could not yet reveal that information for reasons that would become clear if I should wish to learn more. With such a promised invitation I expressed my great interest to do so, being an avid traveller of distant worlds myself, and he asked if I should therefore care to visit him the following day at his lodgings, to which I gladly agreed. The following morning saw me entering his rather lavish apartment and being lead, by one who I assumed was someone in his company, to a comfortably furnished room. Irian appeared almost at once and the companion withdrew without a word. After the usual pleasantries and some excellent refreshment served by the companion, he offered me a chair behind a large glossy table. Excusing himself briefly, he disappeared through a side door but soon returned holding what I saw was a universal recorder. After placing it before me he told me that it contained all their findings on Sirial and as he pressed a few keys on the small console a text appeared next to a picture of two humanoids. He said he wanted me to read this part first as it was significant for what was to follow. I did so and when at last I sat back and caught his eye he looked deep into mine and asked if I understood the urgency of the matter. I said I did. He paused for a moment as if reading my mind, which he may well have been doing, and then leaning towards me he said that he had a request of me and that he now had to admit that our meeting the previous day had not been entirely accidental, which I had already begun to suspect for myself. He continued that because of my connections in the quadrant where Earth was situated he wished me to convert the material of his findings into a readable form for Earth’s population and to arrange for copies to be placed there through a certain distributor, the name and address of whom he would supply. Arrangements would be made to free me from other obligations and to ensure my trouble free passage and the necessary secrecy in this matter. I said I would be honoured to do so and somewhat later I left with the material and other information he had supplied. The further details of this undertaking I cannot reveal here, but suffice it to say that everything went smoothly thanks to Irian’s influence and the book was placed strategically on Earth as he wished. I read parts of the first few chapters in which Tobin describes a planet where a species lived that was similar to humans on Earth. They were a highly intelligent and saw themselves as the caretakers of their world. There was this natural peace he had referred to which seemed to emanate from everything around. One felt a living presence was how he described it. They lived in complete harmony with others of their species and with all other lifeforms and saw the world itself as a living entity which they referred to as the ‘giver of life’, which might also be interpreted as ‘mother’. They also lived according to certain longstanding traditions, adjusting there lives to remain in tune with what they saw as the planet’s wishes. There was always just enough sunshine and rainfall when they were needed for the crops and wild animals, that might to others have appeared dangerous, never did to these people. They saw them as fellow inhabitants to be respected and they walked and talked with them, having no fear or language barriers. They took from the environment only what was necessary to sustain them and gave back in kind, so that a natural balance was always maintained. The people the Higher Ones met were dark skinned and lived in large round houses where several families were housed. An average village (there were no larger communities) consisted at most of three hundred individuals with a variety of livestock. There was no surrounding enclosure which was apparently not needed. The division of their people into villages stemmed only from efficiency of purpose and there were no boundaries, either physical of psychological. They had few belongings, just tools and objects that were needed for daily life and their clothes were simple but both cool and warm when needed and pleasant to the eye as were their few adornments. They were excellent craftsmen using wood and other natural materials but also metal. They used language sparingly and if asked something they would answer directly and always truthfully or say they did not know. They seemed to have no need of a written language though symbols were used in daily life and could be found on objects both in their villages and outside. Their spoken language was closely tuned to the environment and had a very descriptive nature, though amongst themselves they seemed to largely communicate non verbally as they seemed to do with their environment. This is illustrated by the fact that they would suddenly decide to move to a new location, to an outsider for no apparent reason and without any sign of misgiving or remorse. If they were asked why they would smile and say that the answers to such questions were already there and all one had to do was open oneself up to them. This was their explanation for much of what happened in their daily lives. I glanced briefly through the rest of the book which further described, in seemingly great detail, the wonders of that place. I noticed that on every other page there were symbols in the left hand margin. In a glossary at the back these were given a brief description which indicated that these were used by those people and represented local features, objects or creatures of their world and their associations. I closed the book somewhat reluctantly and with a strange feeling of exhilaration. ‘Someone donates them?’ I asked rather puzzled. ‘Well, you could put it like that. Why don’t you have a look at the place where you found it,’ he smiled urging me with a wave of his hand to do so. Leaving him to wrap the book I returned to where I had found it and, sure enough, another copy was now standing in the same place. I was sure I’d taken the only copy. ‘Strange isn’t it?’ he said as I walked back. ‘My assistant says that corner’s haunted but I reckon everything happens for a reason, don’t you?’ There was a twinkle in his eye. The rest of the story tells of the writer seeing the world change before his eyes and the marvels that subsequently occurred. He came to firmly believe that the books somehow opened up a sort of window through which the power of those distant people traveled to ‘revive’ the people of Earth, releasing them from the curse that had blemished their lives since time began. I tried to find further information on the origins of the story but to no avail. Call me an old fool, but when I enter bookshops now, I’m always on the lookout for that one book which I hope one day might find me. But still she makes her feelings show. Someone whom I shall never know. On worlds that some will never find. In dreams that may not be fulfilled. Or laughter fails to drive one on? There is a wonderful TV documentary series from the British BBC on swarming animals which is well worth seeing if you get the chance. UK viewers can see repeats via the internet site of the BBC. For others the series will almost certainly be distributed world wide and become available on DVD sometime in the future. The series is proof that there is a group intelligence at work in the animal world. It appears that there is a group memory into which individuals can implant new learned knowledge that others then instantly have available. In short the individual organism is really just a integral part of a larger organism containing all individuals. During the latest episode I watched there were the familiar shots of birds in huge flocks moving as one and adapting to danger instantaneously in all sorts of complicated ways. A swarm that was really fascinating was that of a Fire Ant colony that was moving away from its present location as it was being threatened by a rapidly rising water level. The members worked together to quickly form a ‘raft’ consisting of the whole colony. The workers carried the pupae and used some of them as flotation sacks around the edges. Some soldiers absorbed air into their bodies so that they could survive for a time under water to sustain the submerged part of the colony. They all formed a cohesive structure with the queen and other pupae protected inside and the leading soldiers paddling to move the whole structure towards dry land. They somehow also reached a consensus on the right direction to travel in. While this is going on the winged males and females were moving around on top ready to take flight to produce a new colony should the present one be inundated and lost. It was really amazing to see the heights of intelligence to which these ‘primitive creatures’ were capable. Then there was a colony of bees that were in search of new nesting site. Apparently there are scouts that do the initial searching and when one of them finds a possible location, it carefully takes measurements as to suitability, including size and climatic variables. If the results are positive it flies back to the colony and gives directions and distance to others by performing a complicated dance. Then a group of more scouts follows the finder to the potential new site and its members perform the same inspection. When finished they come together as if they’re discussing the situation, and if a positive consensus view is reached they fly back and direct the colony to follow them to the new location. Science has discovered that communication in insects largely takes place through the use scents (pheromones) though this doesn’t appear to tell the whole story as the activities of the bees show. These are just a few examples taken from the series. As I’ve suggested elsewhere there are signs that man as an individual has a similar if not identical “connection” with his race which, though now weak in most, may have been generally much stronger in the past. Some individuals still seem to be born with a strong connection and many seemingly strange abilities can be explained by such a group intelligence e.g. 1. Twins who communicate instantly over great distances. 3. Mediums who can communicate with the racial memory. 4. Racial memories recovered under hypnosis, often being interpreted as past lives. Yes, I was (Oh, alright then, I still am) a fan of Star Trek: the science fiction series that has now unfortunately fizzled out due to declining viewing numbers, the curse of the entertainment industry. The old episodes are, however, still being broadcast in many parts of the world to a still eager public, both young and old. The series includes some great adventures which explore the limits of thought, if one is not averse to the science fiction element of the storyline, which is of course the main ingredient. Looking back, however, I do see that there is another darker side to the glowing aspirations for the future of the human race conjured up by this series. While viewing over the years I gradually became irritated by the fact that although mankind is portrayed on the one hand as a species evolving positively with time on a global level: all for one and one for all, peace on Earth; no famine, no money (needed): no racial intolerance, that sort of thing; all the human emotions are still in tact, including aggression and hostility- a conundrum. Even the necessary alien contingent and various ‘superior’ beings can’t escape being cursed by emotions. The writers of the series also seemed to share my view to some extent as they invented quite early on an allied species called the Vulcans, whose individuals have learned to suppress their emotions using severe psychological techniques. This introduced many interesting situations, but the humans with their emotions are never allowed to become inferior. It is mostly the Vulcans themselves who are always struggling with their hidden alter egos. But they did introduce a weak sort of balance. I liked the Vulcans, you could depend on them. One of them called Spock permeates the series as a strong, moving character able to instil unusual awe with his logical approach to everything. There is also the dreaded Borg, a bionic (half human, half android) race. These have a hive mentality with a queen and automaton drones all telepathically connected. Only the queen is allowed to have emotions for obvious reasons of servitude. Their only driving force is to assimilate other races and their knowledge to enhance their own, which they do quite successfully using their vastly superior technology. Captives are rapidly converted into replicas of themselves. “You will be assimilated, resistance is futile” is the last thing many races hear through their loudspeakers before they become Borg themselves together with their children, dogs, cats and all. The Borg’s seeming immortality and overpowering technical strength allows them to almost destroy the humans numerous times, but they never quite succeed and near the end of the series the latter find a pathogen to destroy them. There are robots in all sorts and sizes (a necessary part of any future human development), but they have mostly minor rolls and as such are hardly ever involved with emotional activities if at all. There is one exception, however, in the form of Data, an android (a robot resembling a human). Why they never got around to calling him something like B3X2 I shall never understand. Of course, Henry or George wouldn’t have been appropriate either, would they? If you can come up with something more original let me know. He is one of the main characters and in most (if not all) respects superior to his human companions, not only in strength and computing ability, but because he has no emotions and can therefore react objectively and with optimal efficiency in every situation. He is the only really dependable member of the crew and has saved the day on many occasions when his human companions succumbed to some incapacitating alien influence, often psychological. I say ‘he’ and not ‘it’ because he is given the appearance of a human male (sorry ladies), though his overly pale face does firmly stamp him as non human. He is another of my favorite characters, magnificently portrayed by the actor Brent Spiner, who deserves a special mention here. However, even he (the character not Brent) has to be yearning and searching for his ‘missing’ emotions, because he is constantly coerced by his human companions into believing that this will lead to vital improvements to his ‘personality’, poor fellow. He manages, against his will, to stay clear of emotional responses for quite a while but does eventually succumb, when humans produce a computerized implant for him containing programmed emotions – the devil’s elixir. Later in the “Voyager” episodes we come across a holographic physician – the Doctor, who also has a naming problem and yes, he (sorry again ladies) is a creature of solid-feeling electromagnetism, who from a simple automaton, a medical assistant, develops through experience and with the help of technology, partly alien, into a full blown intelligent being who eventually also receives programmed emotions to make him more human. He is so pleased with the result that he invents his own electromagnetic family. Umm. These non human entities together with their multiracial human and alien companions live on board the spaceship called the Enterprise, which like the sphinx, reincarnates with each new series, though in this case becoming bigger and better than ever. The crew members are cast as explorers, going ‘out there’ where no man had gone before (well as far as we know), to make contact with new species, new civilizations; offering the hand of friendship and peaceful cooperation. They have a Prime Directive not to interfere with the natural development of other species, which of course is an impossible undertaking for any explorers. There are scientists on board as well as the usual operations personnel and a military contingent, just in case. All very clean cut and admirable, an example to all little green blobs everywhere one might say, except that human emotions and involvements continually get in the way of any significant universal progress. Indeed the only real progress made is in the accumulation of new technical skills enabling them to overcome (always in self defence of course) various aggressors they meet on their exploratory path through the Galaxy and sometimes temporarily beyond. Oh yes, some humans transcend into other realities and dimensions to become lesser gods and such, but if they don’t exhibit emotional responses then they’re on their own. Some might say that the technology of Star Trek should be firmly locked away in the realm of fantasy but I wouldn’t be so sure. Two of the technologies are most intriguing, at least to me, so I’ll bother you with them and apologize in advance if I’ve bored you. The first is the matter-transporter or teleportation device. To put it simply, one steps inside it and seconds later steps out into a new location perhaps light minutes (awfully far) away. Your atomic structure is transformed by the device into an energy beam which is then sent to another device that receives it and converts it back into you. Although the technical details involved are mind-bogglingly difficult in practice, you won’t hear me say the idea is impossible. The second I want to mention is the cloaking device, whereby a vessel can become undetectable to electromagnetic radiation; in other words invisible to the eye or other sensitive devices. This idea is not new and was invented long before the series began, but with Star Trek the idea really came to life so to speak. Such technology has been around in the real world for some time also in the form of, for example, radar absorbing paint for stealth aircraft. Recently scientists have discovered a means of deflecting incoming radiation around objects thus making them effectively invisible. Other techniques using special materials and plasmas are in active development. Although the military applications are obvious and, as always, form an immediate priority, one can imagine other uses. Traffic wardens might see the advantage of an invisibility cloak, such as the one used by Harry Potter. The Enterprise crew members are good in a fight, and if they do suffer a temporary setback they always have the ability to rebound and win in some fashion or at least escape with their dignity still in tact. Aliens are either enemies or friends, of course, and as the latter they make little lasting impression on the humans, being allowed to take their place, if they so desire (which most of them do when they hear about all the gadgets), in the flotilla of the ‘United Federation of Planets’. This is a collection of species who manage to tolerate each other for their mutual benefit. ‘Friendlies’ who do not wish to join are quickly left behind with smiles of gratitude for any help or grins of disbelief. Well I could go on, and on, about great acting performances, wonderful stories and the wealth of gadgets, but I’ll leave our friends now, pressing on at tremendous speed to their next meeting or glorious battle with who knows who or what. On a more philosophical note, most would say that without the support of emotional involvement there can be little or no character development in stories, producing characters with no real sense of adventure, achievement or overcoming. They would undoubtedly add that such storylines would appear dreadfully dull and uninteresting to viewers. However, Data (the android, remember?) for example, proves to be an exception to this rule. His unemotional attempts to understand and simulate human emotions produce some of the most touching and hilarious moments of the series. The important thing it would seem to me is to be able to arouse emotions in the audience and a character without them can apparently accomplish this. The standard Vulcan would, of course, see this series merely as a documentary of human expansion with humans doing stupid, mostly unproductive, things from time to time; largely getting in the way of normal progress. The unemotional Data would be looking on with attempts at admiration for his betters. Another irritation worth scratching is the use of unproven scientific theories in the series such as black holes, stellar and solar system evolution, portrayed as if they were facts. But I do like the idea of the speed of light being surpassed. The real scientists, who often had a hand in the making of the series, weren’t too happy with this one I can tell you. The writers invented the warp drive: an advanced engine where ten times light speed is the upper limit when putting one’s foot down. And if that’s not fast enough then there are wormholes, which were more to the scientist’s liking as they considered them a theoretically possible. These are a sort of corridor in space, allowing one on entry to rapidly appear in another part of the universe as easily as walking from the front door to the garage. Well perhaps a bit bumpier. It’s a pity that the races on the other side didn’t have much more to offer than those on this side. Why am I going on about the importance or otherwise of emotions and the distortion of facts you might ask? It is, after all, just good clean entertainment, I hear you say. Okay, true, but then like all public media it disseminates ideas and influences the mental processes of its viewers, especially the younger ones in this instance. To portray humans as the saviours of the Galaxy while stressing the importance of the emotional side of human behaviour, which is based on purely egotistical reactions, seems to me to be rather misleading and counterproductive to a story of human advancement. The portraying of unproven scientific theories as scientific facts is also misleading. Although I have been critical of some aspects of the series, I do recommend it as a worthwhile viewing experience, where one can learn a great deal about human values and their importance or otherwise for the future of mankind.